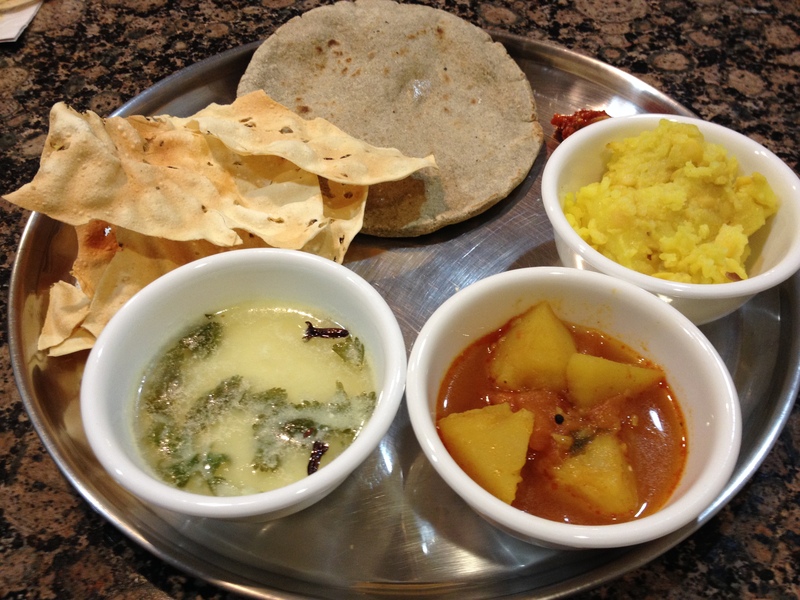 Gujarati Thali has veggie ,roti ,dal or kadhi, kichadi or rice, papad , little kachumbar(salad) and pickle. It’s based on ayurvedic principle of including all 6 taste.Also it’s eaten as lunch. Now a days it’s not possible but we should still strive to include all 6 taste in our meal atleast now and then. According to Ayurvda, we should have 50 % solid food, 25 % liquid and keep 25% empty. This thali meets requirement. It’s been snowing here and very cold so made this hearty thali to feel warm. It’s fun to have little bit of all taste and variety sometimes. Do make your own thali and enjoy !